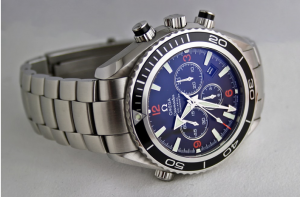 Why invest in a pre-owned watch? That’s a question you’re probably asking yourself right now. Why invest in something that’s been previously owned when you can get something new? That’s actually a good question. Let’s answer this question by asking another one: why do people pass down gold and diamond jewelry? Why don’t they get rid of it? The answer is simple: because its value goes up with time. Vintage watches are a symbol of class, durability, and value. This is because they’re built using the highest quality parts and are the result of exceptional workmanship. But when it comes to choosing a vintage watch to purchase, you have endless options! So the question that pops up is: which one should you buy? 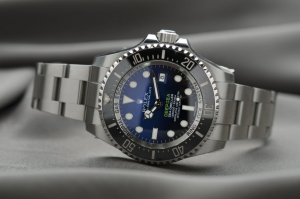 The Rolex Submariner 5513 is a class of its own! Did you know that the 5513 had one of the longest manufacturing runs? This is because this series was incredibly popular when it was released in 1962, and for good reason too! It was manufactured from 1962—1989. The earlier version of this watch had folded link bracelets but the latter versions have solid links. A few of the watches were also shipped with authentic Rolex Tropic rubber straps. If you’re going for the earlier versions, you’ll note that they had radium lume and the latter versions have Tritium markers. The word “SWISS” was printed in clean, exceptional-quality white ink. The underline on the gilt dial was under the “Submariner” text or the “Oyster Pereptual” text. In 1966, Rolex changed it to a matte dial. And in 1977, the Tritium markers were replaced with gold. 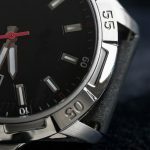 What makes this watch stand out is that Rolex went all out to upgrade its features, making its characteristics unique. From the font to the markers, there are variations, making this series extraordinary. In addition, the movement of the watch is quick, seamless, and extremely smooth—something you would expect from the quality workmanship of that time! The iconic, timeless masterpieces have been used for six lunar missions—the first of their kind! In fact, the Speedmaster the first choice when choosing a watch to wear on the moon. The Omega Speedmaster also has a chronometer, chronograph, tachymeter and has luminous hands and hour markers, equipped with a hesalite front. The Bracelet is made with exceptional materials, and come with a tight Omega 1479, along with 812 ends. But it doesn’t matter which Omega Speedmaster series you own. They’re allgorgeous, amazing pieces, with a rich history dating back to 1957! So which one of these beautiful chronographs do you prefer? Leave a comment below to let us know, or list your own favorites! Remember when you’re getting your watch repaired in Breckenridge, CO, don’t go with just about anyone. 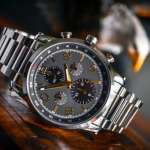 Always go with a watch repair service that not only has an understanding of the type of watch you own, but can guide you through the process as well. And this is where we come in. We’ve been serving the community of Breckenridge, CO for more than 70 years!